Meet Our Amazing Team of Doctors! We are proud of our staff here at Santa Ana Dental Group. We have lots of satisfied patients that keep coming back to us for the best care in the area from doctors with experience who take pride in their work. We work hard to ensure each and every one of our patient’s complete satisfaction! Here are the members of our amazing team. Dr. Cashman earned his DDS at the University of Pacific School (UOP) of Dentistry. After graduating UOP with Dean’s top honors, he earned his General Practice Residency in Honolulu, HI. Dr. Cashman has over 25 years experience and has extensive training in Sleep Dentistry, Dental Implants, Oral Surgery and Laser Dentistry. Dr. Cashman’s devotion to patient care and comfort is second to none. He uses state of the art techniques and equipment designed to speed healing and eliminate pain to bring life long, life changing answers to his patients concerns. In his free time, Dr. Cashman enjoys golfing and travel. 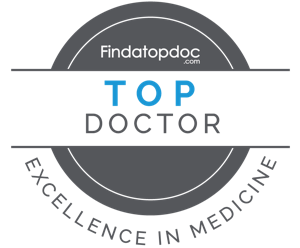 Dr. Dadashzadeh graduated from the University of the East, College Dentistry, Philippines; ranking in the top 1 percentile on the Practical Dental Board. She then completed her Oral Surgery Residency at the Philippine General Hospital. In her 20+ years experience practicing in California she has consistently attended continued educational courses to stay current with the latest dental techniques and innovations. Proficient in all aspects of dentistry, Dr. Dadashzadeh’s emphasis on quality and detail in patient care is evident in the long-term relationships she has built with her patients. Aside from being devoted dentist, she finds balance by spending her free time with family, playing classical guitar and piano, as well as reading leisure. Dr. Kordvani earned his DDS at the University Of Southern California School Of Dentistry. He is proficient in all areas of general dentistry and hygiene including Laser Treatment. His caring nature and pleasant demeanor helps in providing each patient with optimal dental treatment in a comfortable and pleasant environment. In his free time, Dr. Kordvani enjoys soccer, music and traveling. Dr. Choi received his DMD at Case Western Reserve University in Cleveland, Ohio and went on to complete a General Practice Residency at the VA Northern California Health Care system in Sacramento, California. He especially enjoys family dentistry and children. He is proficient in all phases of dentistry, including implants, wisdom teeth removal, endodontics, and cosmetic dentistry. He places emphasis on establishing great relationships with his patients. In his spare time he enjoys traveling, trying new foods, and spending time with friends. With 16 years of experience in the dental field, now I am the proud manager of Santa Ana Dental Group. I love the customer care aspect of my position; assisting patients with insurance, treatment, financial planning and helping create a positive experience at our office. I feel truly blessed to work alongside such an amazing team, from our front office all the way to our highly experienced doctors. During my free time I enjoy spending time with my family and friends. Also cooking, baking and love dancing.